While traders await ECB MPC Update, USD has been weakened due to 10—year US Treasury bonds data. 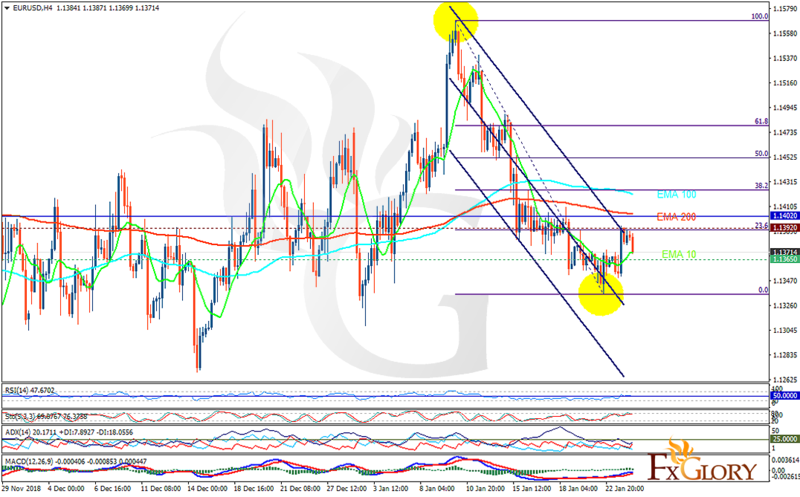 The support rests at 1.13650 with resistance at 1.13920 which both lines are below the weekly pivot point at 1.14020. The EMA of 10 is moving with bullish bias in the descendant channel and it is below the EMA 100 and the EMA of 200. The RSI is moving on the 50 level and the Stochastic is moving in high ranges. The MACD line is above the signal line in the positive territory. The ADX is showing sell signal. Considering EUR empowerment, the correction pattern may have started targeting 61.8 level of Fibonacci at 1.148.